IKEA, whose cheap furniture is a favorite of starter apartments around the world, is now making it easier to grow vegetables in that high-rise home of yours. 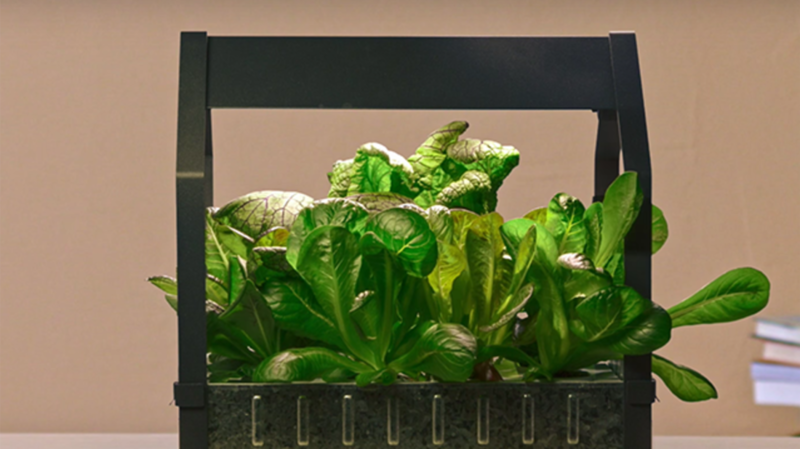 The company has collaborated with agricultural scientists to create a hydroponic gardening line designed to grow lettuce and other plants indoors, no soil necessary. The indoor gardening equipment is designed to be affordable on a small scale, so you don’t need to launch a produce business just to make growing a few vegetables worthwhile. Launching sometime this month, pieces in the hydroponics line will sell for $7 and up, according to Dezeen. IKEA will sell starter plugs that keep seeds moist, and all you have to do is pop them into the hydroponic pan like you’re making plant muffins, put it somewhere sunny, and watch the water levels. The kits are perfect for people who live in apartments with no outdoor space or who want to turn their kitchens into miniature greenhouses.